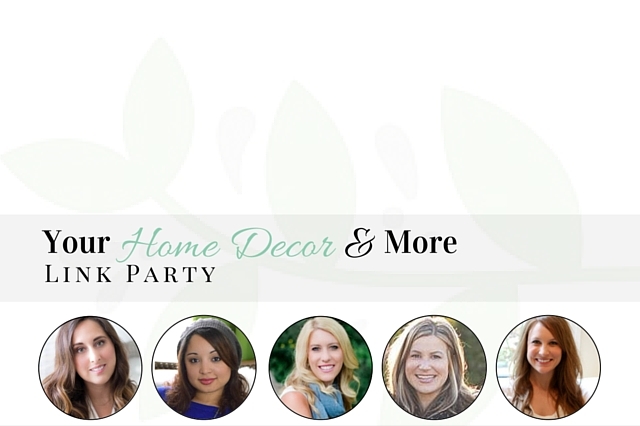 Welcome back to the 6th Your Home Decor and More link party! Can you believe we have 5 great months of this unique party! Your posts have been so beautiful and we can’t wait to see more. We will be featuring posts on our social media, so be sure to let your friends know to link up too! Remember that new and old posts are welcome. Hello and welcome back to the 5th Your Home Decor and More link party! Your posts have been so inspiring and wonderful to see. We hope that you have been inspired by the amazing posts here as well. Let’s share what you have been up to the month of February. Feel free to share your St. Patrick’s day home decor and DIY projects to prepare for the upcoming holiday! Remember that new and old posts are welcome.